SubRosa - a community space: Wed: Rojava Solidarity SC // Thurs: Open Stage! // Fri: Film Screening // Sun: Collage Session & Prisoner Letter Writing & A Show! // & More! Wed: Rojava Solidarity SC // Thurs: Open Stage! // Fri: Film Screening // Sun: Collage Session & Prisoner Letter Writing & A Show! // & More! The people of Rojava are engaged in one of the most liberatory social projects of our time. Please join us for the first meeting of Rojava Solidarity Santa Cruz. Let's build a community of interest to learn more about Rojava and provide support to its people! -Thursday, Jan. 17th, 7:30pm: Open Stage! -Friday, Jan. 18th, 6pm & 8pm: Movie Screening! 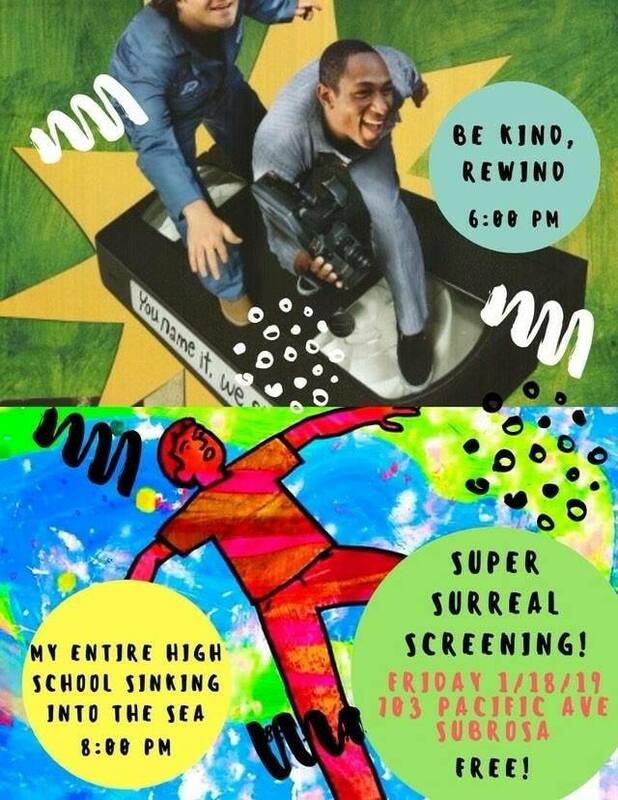 Be Kind, Rewind / My Entire High School Sinking Into the Sea! -Sunday, Jan. 20th: Three Happenings! The Amah Mutsun Tribal Band and local community members are hosting an open meeting to discuss a proposal from developers to turn sacred lands into a sand and gravel mine at the foothills of the Santa Cruz Mountains. The meeting, an effort to continue protecting remaining sacred sites from further development, is at 7 p.m. Monday at the Wisdom Center, in The Galleria, 740 Front St., Suite 155.